Eli was a friend of mine’s horse and he is a smart cowboy. When he decided to sell Eli, he called me and yeah, I said sure we’ll add him to our family. Wonder if I was set up? But everything happens according to God’s plan and the cowboy Jeff Kaptein sold us Eli and we love him, and if you look at Dualn’s page, Jeff ended up with my horse Dualn later. It is cool how things work out–Justa have some faith. 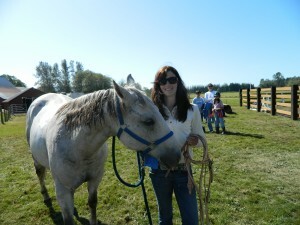 Eli is a super lesson horse, and a great trail horse. 2016 Update: Congrats to Nicole and Nick on their purchase of Eli. He is living the good life with his new family–doing what he loves: Trail Riding!